What Will Win: Well, this is a wide open gate really. Mad Max swept pretty much every Critic Award ceremony, The Big Short took the PGA, Spotlight won the SAG and The Revenant claimed the DGA. Mad Max doesn't really stand a chance, this is a three horse race and, really, it could go to any. But my money is on The Revenant. What Should Win: Again this is difficult. Mad Max is my favourite film of the bunch by a long mile, Room was one of the most emotionally affecting films of the year, and The Revenant had me on the very edge of my seat for two straight hours. But, on top of this, one film took a harrowing true story and told it with the conviction it deserved, hitting perfection in terms of direction, acting, and storytelling. That film was Spotlight. Whilst Mad Max is my favourite of the year, it just isn't the type of film that should win the big award. But oh boy would I love it if it did. Who Will Win: This is a two horse race between the men who put together Mad Max and The Revenant. If Inarritu wins, it will be the first time in over fifty years that a director has won this award two years running, and I believe he will. Who Should Win: Mad Max isn't going to take Best Picture, but a piece of film-making of that standard cannot go unrewarded. If George Miller doesn't walk away with the director trophy, it'll be two years in a row that the right man has lost to Inarritu. Who Will Win: Redmayne, Damon and Cranston have no chance. Even Fassbender is starting to seem like a far cry. After an unforgivably long time, this is set to be DiCaprio's year. Who Should Win: Fassbender was excellent in Steve Jobs, but this year belongs to DiCaprio for The Revenant. Not only did the man eat a raw bison liver while filming, but he gave quite possible one of the most committed performances ever seen on screen, even with a frustratingly thin character to play. No-one deserves this more than him. Who Will Win: I wouldn't go as far as saying it's a lock, but Brie Larson has been the one to beat here for a very long time, and I highly doubt the Academy will give this to anyone else. 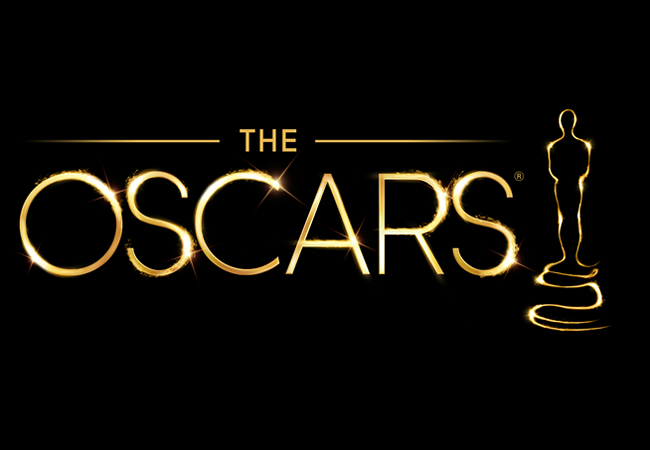 Who Should Win: All five of these performances are Oscar worthy. Seriously, this has been a superb year for women in cinema. Lawrence was as energetic and committed as ever in Joy, Larson was a compelling nature in Room, Ronan was emotionally charged in Brooklyn and Blanchett was captivating and unforgettable in Carol. But what Charlotte Rampling does with her quietly terrific script in 45 Years is just breathtaking. She won't win, and I'll still be enormously happy for Larson when she inevitably takes this award, but none deserve it as much as Rampling. Who Will Win: Everyone initially pegged this as a completely open award; it could go to anyone. But based on where the awards have been going so far, Stallone looks set to take this one home. Everyone loves a comeback, right? Who Should Win: I must confess to having not seen Creed (it appeals to me in no shape or form whatsoever), but Mark Ruffalo is the anchor of Spotlight and his impressively controlled performance was one of the greatest things from a truly great film. He lacks a nomination, but Jacob Tremblay in Room is my real winner here. Who Will Win: Much like its male counterpart, Supporting Actress is an open door. Again, based mostly on where the awards have gone so far, this seems to be heading towards Alicia Vikander. Who Should Win: I was mesmerised by Jennifer Jason Leigh in Tarantino's latest, but Rooney Mara was a force to be reckoned with in Carol. My support lies with her. 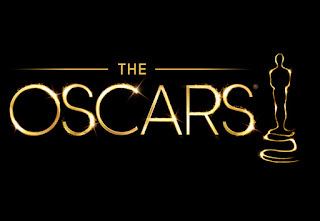 What Will Win: This could go a wide number of ways; Inside Out could take it as it missed the Best Picture nomination, Bridge of Spies could be given it as an apology for it being unlikely to take home anything else, or Straight Outta Compton could get this as a means of attempting to correct the whole #OscarsSoWhite thing. But Spotlight has the best script of the bunch, and I believe the Academy will recognise that, even if only so that it takes away one award on the night. What Should Win: I'm ridiculously torn here between two films. But as much as I would love for Inside Out to take home two trophies in one night, I have to stick by Spotlight simply due to how hard that film hit me. What Will Win: Well, if Best Picture is a race between The Revenant, Spotlight and The Big Short, and Spotlight is going to take home Original Screenplay while The Revenant claims the big prize, it only seems right that The Big Short walks away with the Adapted Screenplay trophy, right? What Should Win: Quite frankly, anything but The Big Short. The other four screenplays are all terrific in their own ways, but here I back Room due to its deeply moving script. What Will Win: Inside Out. It's the year's biggest, nay, only lock. What Should Win: Anomalisa was great, but nothing can or should stop Inside Out taking this one. Cinema's best animation company delivered arguably their best film yet, they can't lose out on this. What Will Win: Having never won before, Ennio Morricone looks set to finally claim an Oscar for his excellent work on The Hateful Eight. What Should Win: As much as it pains me to overlook Star Wars in this category of all categories, especially as it was just as good as we all hoped, The Hateful Eight's score was terrific. I would love for it to win this one. What Will Win: Cars crashing together? Enormous sandstorms engulfing the characters? Guns firing in all directions? Mad Max: Fury Road should have this one in the bag. What Should Win: I really can't think of any film in the last decade more deserving of this award than Mad Max: Fury Road. The film's technical achievements are just astonishing. What Will Win: Again, with all that constant engine whirring against all of the film's dialogue, no sound mixing across the year was better than that of Mad Max: Fury Road. What Should Win: Mad Max: Fury Road. Not much else to say, really. What Will Win: It's certainly going to be an interesting night for the technical awards, as almost all of them are set to be a Mad Max and The Revenant showdown. The Revenant didn't offer anywhere near as much production diversity as Mad Max: Fury Road, though, so I believe the Academy will swing this in its direction too. What Should Win: At the risk of sounding repetitive, Mad Max: Fury Road should really walk away with this one as well. The Citadel is a breathtaking design, and the work achieved on all the vehicles is remarkable. What Will Win: This seems set to be the one technical award in which The Revenant is undeniably poised for victory against Mad Max. What Should Win: As effective as Fury Road's camerawork is, The Revenant has some of the most breathtaking cinematography cinema has ever seen. For it to lose out here would be a travesty. What Will Win: Yet again, Mad Max: Fury Road seems set to take this one too, if only down to the appearance of the War Boys. What Should Win: I haven't seen The Hundred Year-Old-Man..., but even The Revenant's impressive make up work just can't live up to that of Mad Max: Fury Road. What Will Win: This is one of only two technical awards that doesn't seem to be a showdown between the two most nominated films. Mad Max had some terrific costumes, as did The Revenant and Carol and, presumably, Cinderella. Simply for diversity reasons its possible that Carol could take this one, but once again, Mad Max: Fury Road still seems most likely. What Should Win: Mad Max: Fury Road. It had the difficult task of creating costumes for a multitude of character types, and they didn't have historical photographs to base them off. The costume design is faultless. What Will Win: The other technical award with a wide range of options, this could really be taken by anything besides Star Wars. Normally Best Picture and Best Editing go hand-in-hand, but Mad Max: Fury Road has been the favourite for a long time, and I really can't see that changing. What Should Win: The Big Short was zippy and energetic, Spotlight was calm and collected, The Revenant was unusual and ambitious, and Star Wars was, well, pretty standard. Mad Max: Fury Road's editing is breathtaking, it deals with an incomprehensible amount of action and allows it all to be followed seamlessly. It should take this one, too. What Will Win: Any of these could win, really. The visual effects in all of them are stunning. But with its recent haul at the VFX awards, Star Wars looks set to take home one award. What Should Win: Mad Max's mostly practical effects are superb, but the bear sequence alone is enough for me to place The Revenant at the top of my rankings here.